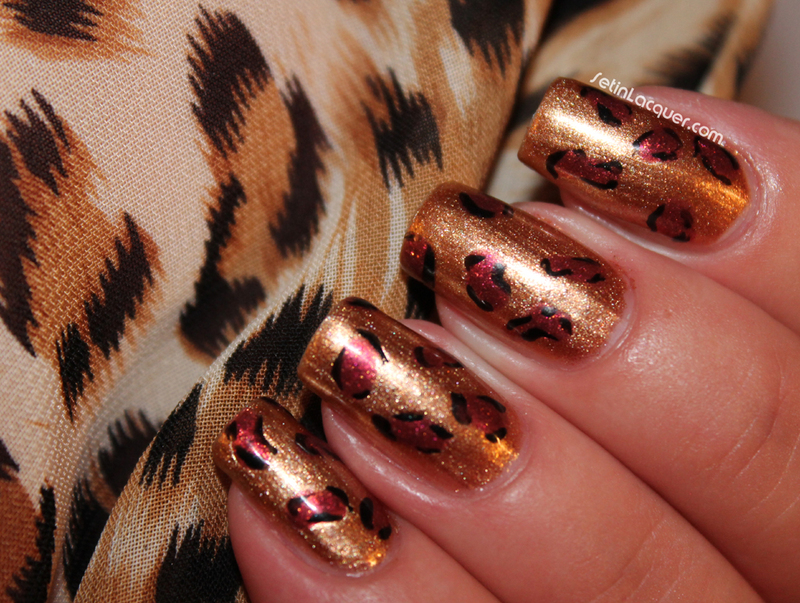 Fabrics are an inspiration for nail art. 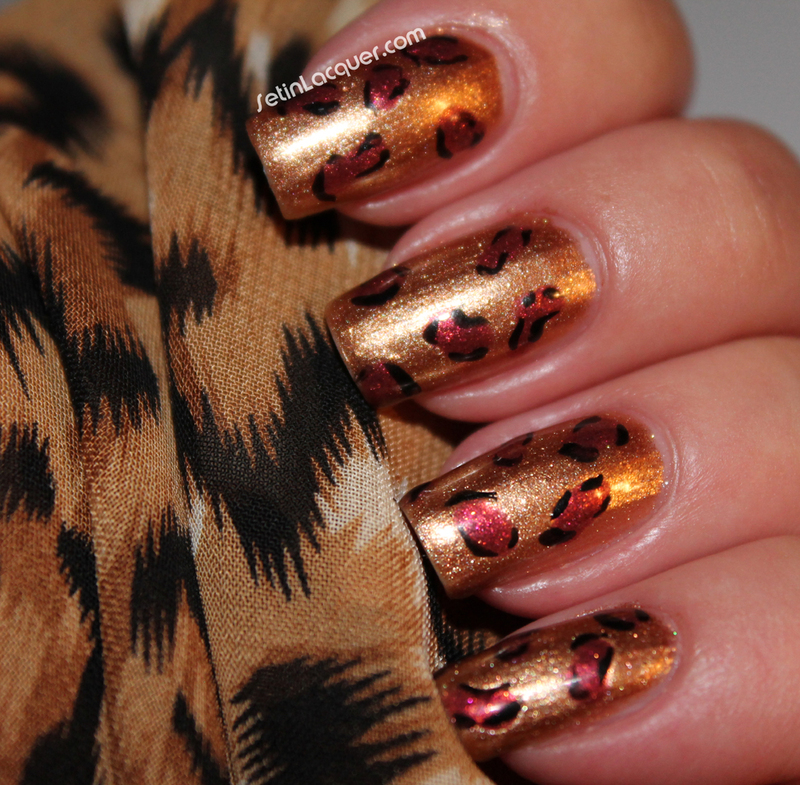 I have a leopard print summer blouse that I wanted to use as a basis for nail art. So I pulled out some Zoya polishes and went to work. For the base color I used Zoya Richelle. 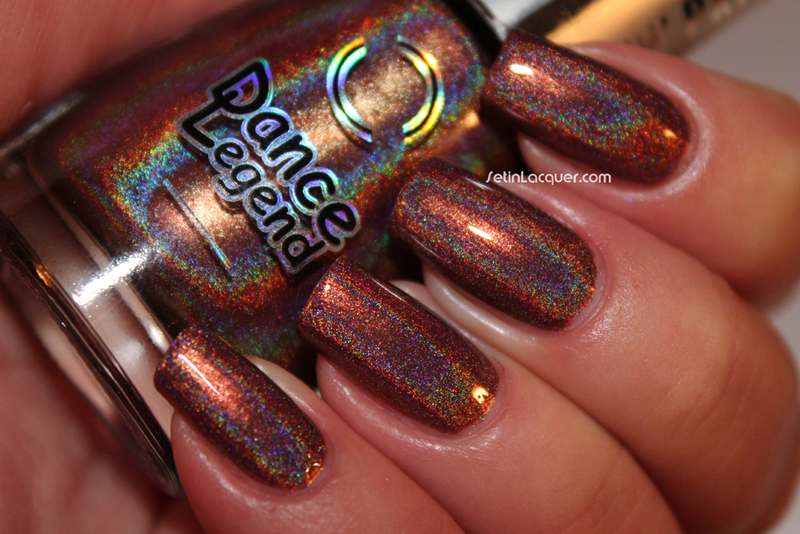 It's a gorgeous bronze shimmer polish. 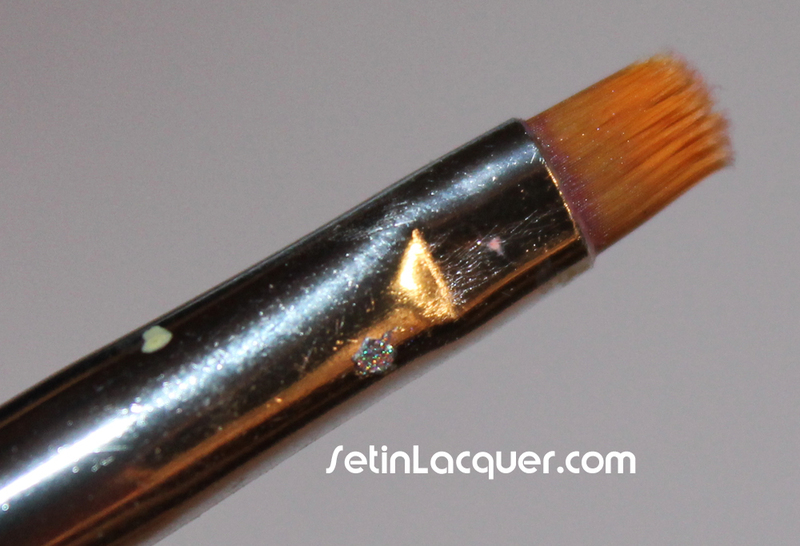 Then I used a dotting tool to create irregular spots with Zoya Ivy. It a rusty color that makes me think of fall leaves. 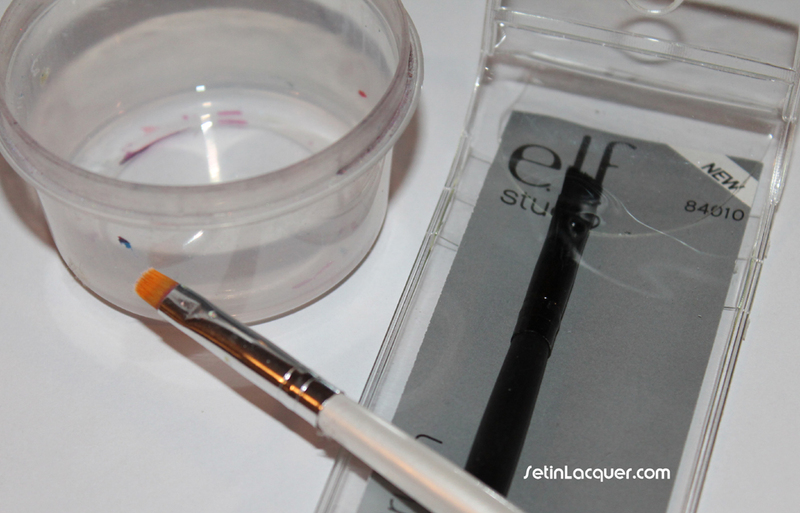 Then I used a nail art brush and Zoya Raven to add the incomplete lines around the spots. 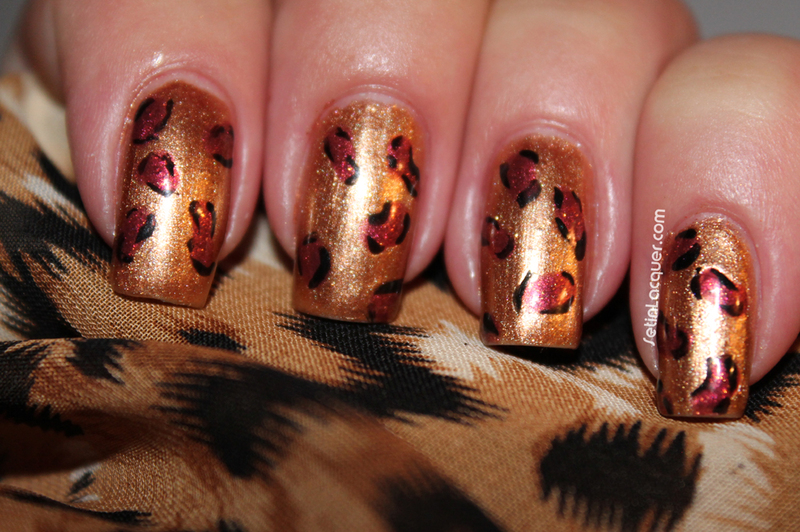 Leopard spots are really easy to create. They are forgiving and don't have to be perfect at all. What fabric or fashion inspires you? I have a fun stamping plate to share with you. 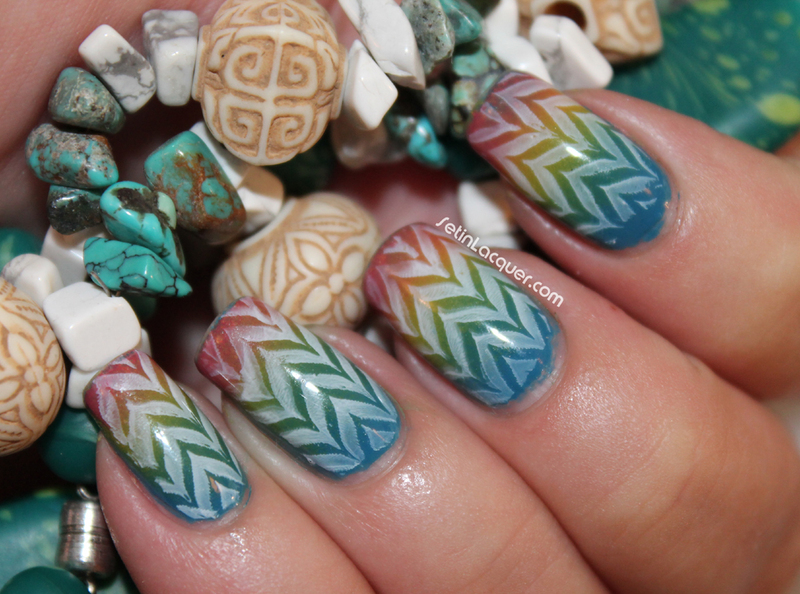 Stamping can transform a normal manicure into a work of art. 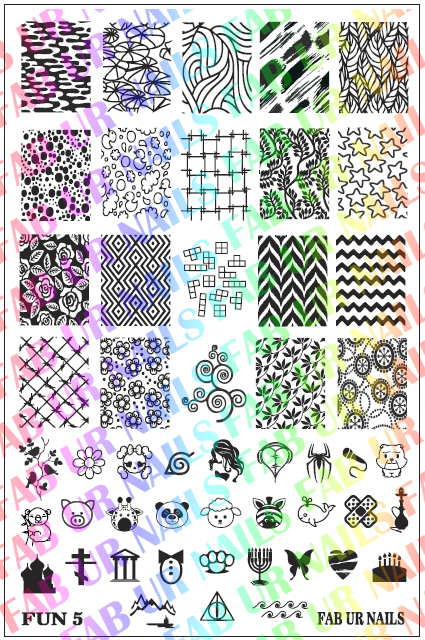 This stamp is from Llarowe and has 20 large (16 x 21mm) designs and 30 small detail designs. The plate measures 9.5 x 14.5 cm. It's the Fun IP stamping plate #5. I can't wait to show you more images from this plate. The image transferred from the plate to the nail easily. I haven't stamped in what seems like forever so it took me a bit to get back in the groove. But this stamp made it easy. The hardest part was picking which design to use! I created a gradient with Zoya Whitney, Breezi and Darcy. 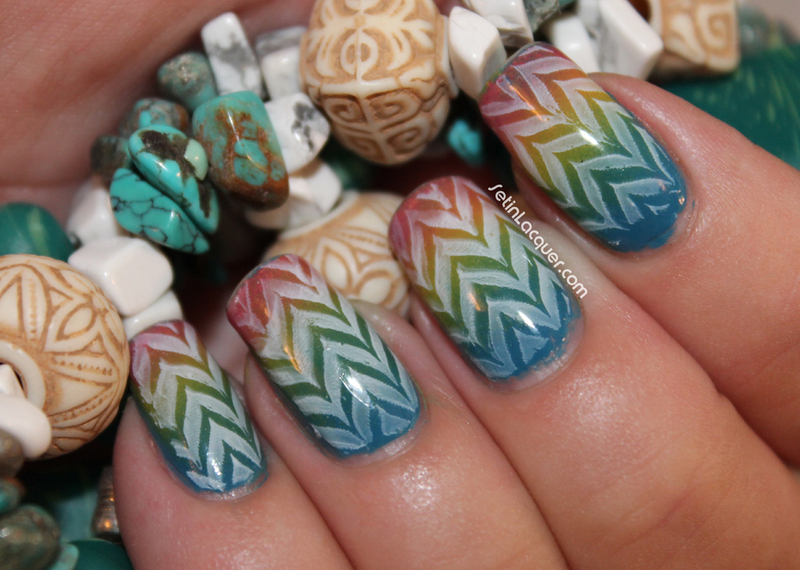 I finished the look off with the zig zag design. These Fab Ur Nails stamps can be purchased from Llarowe.com for $18. I am definitely going to have to pick up some more to use for nail art looks. I have an fun little giveaway for you today. Would you like to have a bottle of Colors by llarowe Behead the Drama Queen? This giveaway will end Sunday at midnight - so don't waste any time! 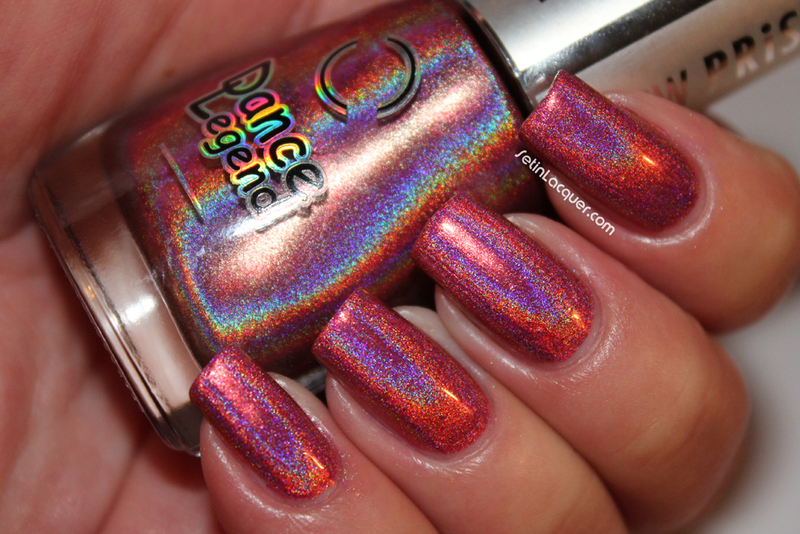 In the meantime check out Colors by llarowe - these polishes will be available for purchase tomorrow at 1 mdt. Entering is easy. Just enter via the Rafflecopter widget below. Colors by llarowe has launched her own polish line. The ones I have tried will definitely make you sit up and take notice. I am sharing two of them with you today. One of these may have catapulted to the top of my list of favorites. Today I have Good Fortune and This Girl Is On Fire... HELP! And these will both be in tomorrow's (July 27) restock on llarowe.com. Good Fortune - is a gorgeous turquoise holographic polish. It picks up the light and shines with a brilliance that is not for the faint of heart. It has a jelly-ish consistency and is opaque in two coats. This is with a topcoat of Seche Vite: but I must say it dries to a high gloss shine on its own. This Girl Is On Fire... HELP! 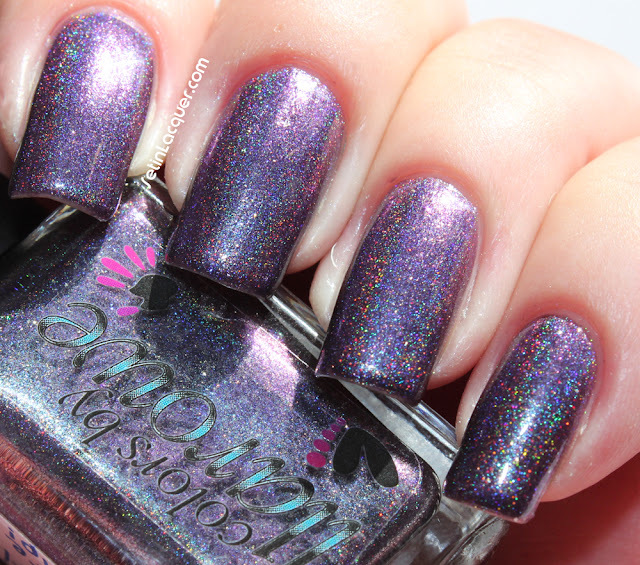 - is a deep purple shade that simply comes to life with scattered holo sparkles in the sunlight. 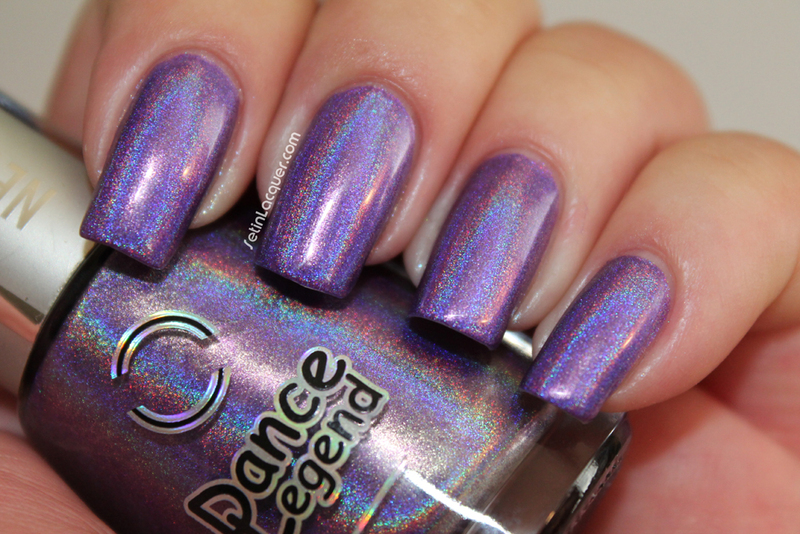 This is a gorgeous polish that is both mysterious and straight-forward. Colors by llarowe - This Girl Is On Fire... HELP! Llarowe will be launching/restocking the following these polishes tomorrow, Saturday, July 27th at 1 p.m. MDT. There will be a 30 minute window on either side of this time so may sure to be ready. They will be available for $12.. I have a few wants on my list so I will have my mouse at the ready! 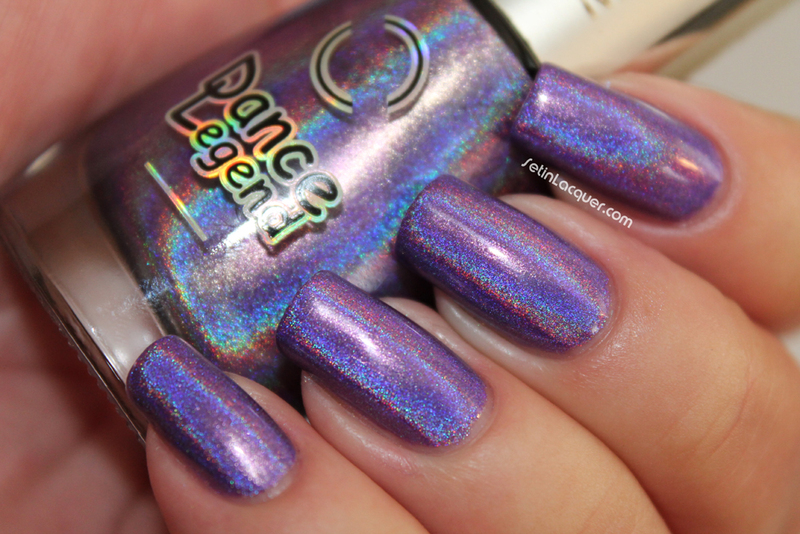 I have a deep, dark, sultry glitter polish for you today - Femme Fatale Planar Anomalies. 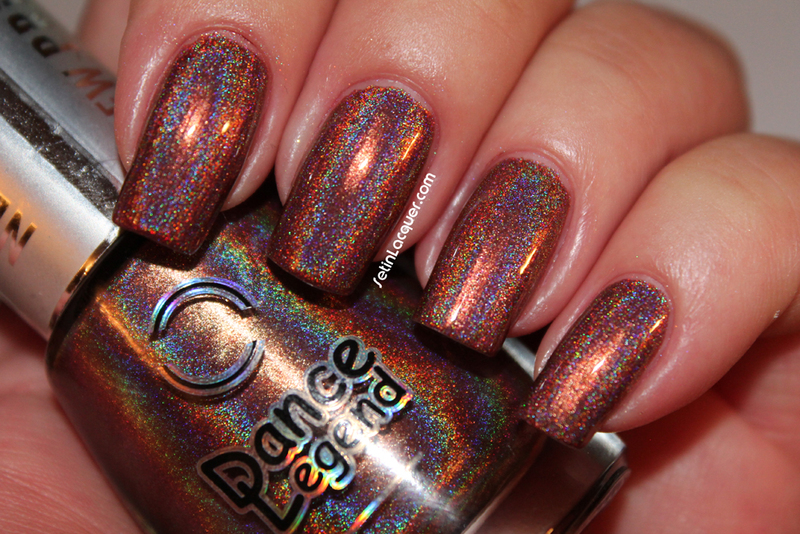 Planar Anomalies is a complex polish that is extremely difficult to photograph. It and my camera did not play nice together at all. But it’s a murky black base with a subtle pink to green shift. This delightful dark base is swimming with an assortment of grey, black, holo, purple and teal glitters. This is two coats of Planar Anomalies. It definitely needs a thick topcoat as it is a chunky glitter. I used a coat of Gelous and another coat of Seche Vite. That smoothed it out to my liking. 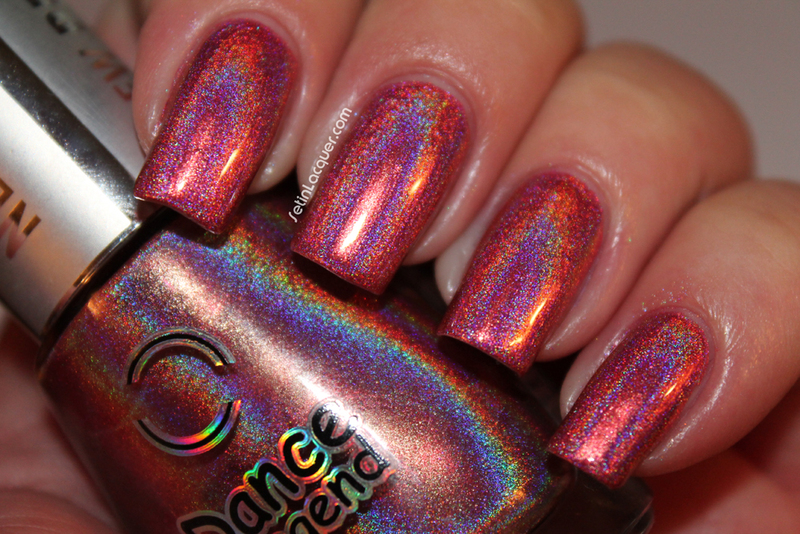 The glitter flashes with a three dimensional look and catches the light to make this polish glitzy and glam. This is available from Llarowe so keep your eyes open and your browser pointed to Llarowe. 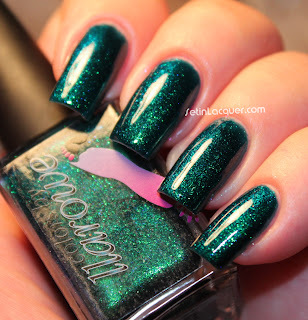 Llarowe is a one-stop shopping site for those hard to find indie and international polishes. Make sure to follow Llarowe on Facebook to keep up with the current releases, restocks and new polishes. 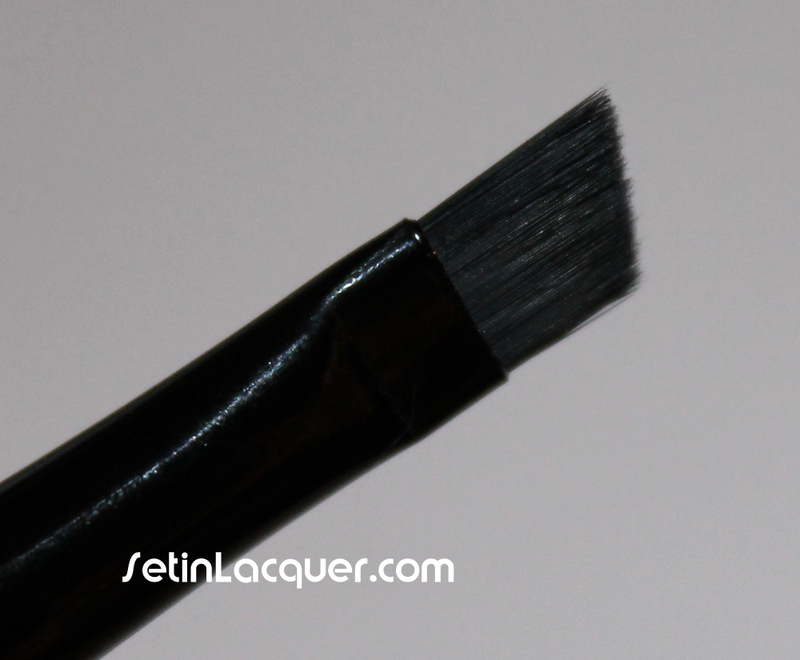 Cosmetic Sanctuary and I decided to put on a big giveaway for our readers! The winner of this giveaway will walk away with a HUGE Julep Prize Pack! What’s in the prize pack? Well, take a look! All polishes and products are still brand new and sealed! This is an amazing gift box for anyone who loves Julep, hasn’t tried Julep – but wants to, or just loves polish in general! Added bonus? TWO Six Flags Day Passes! If the winner is International and doesn’t have a Six Flags, we will draw a second winner who will get the tickets plus a small polish gift bag. This Giveaway is open to EVERYONE! All that we ask is that you are 18 years or older, or have a guardian’s permission to enter! Barielle Giveaway - Brilliant colors and more!